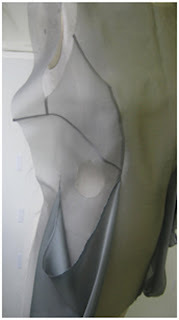 The final fabric choice selected was a grey oraganza and grey polyester chiffon. The collaberation is complete because my ideas of panellings is incorparated into the garment which works well with my team mates arm restriction and transparency of that garment. The organza highlights the Panels because of the transparency giving structure and geometric shaping to the garment. The garment takes formation in this image. The french seams darken the Organza because its see through at the joining of the panels. 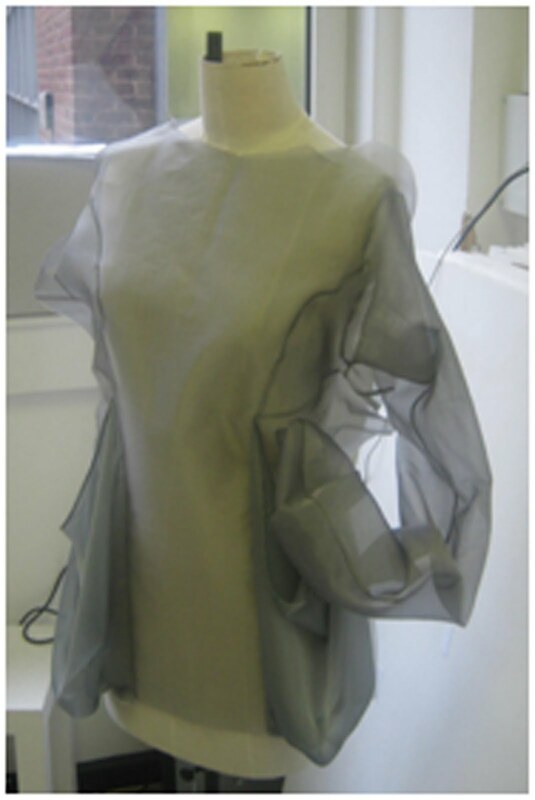 The polyester Chiffon matched the fresh seam colours so that the garment blended together like me and my team mates deas blended together. 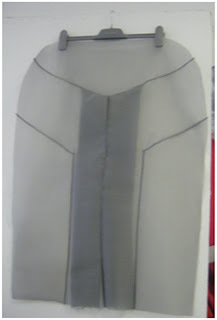 About 3cm of binding was used to cover the raw edges of the cuff hole, neckline and the hem for a neat finish. 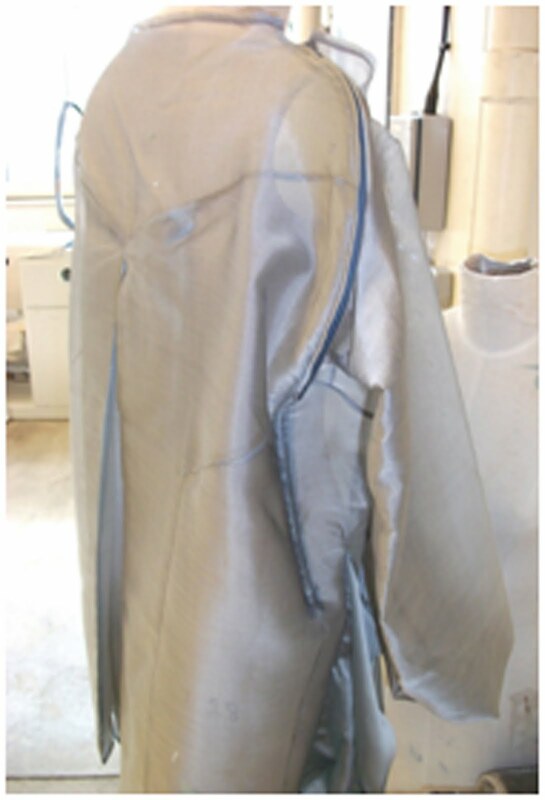 This was a better option than the other option of rolling the fabric because the rolling wouldn’t look right with the choice of fabric, as rolling the fabric would cause the fabric to crease up and make the garment too bulky. A decision to add a concealed zip on near the side seam was necessary because it was difficult to get into the garment easily, the problem was the way the zip curves at the shoulder which wasn’t intended. But on the hole making the garment was a success.